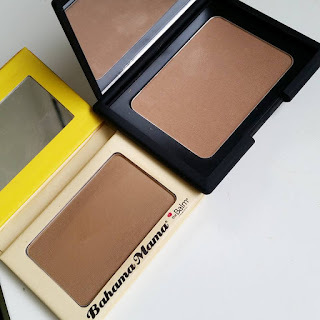 MakeupMadness107ByElina: The Balm Bahama Mama and Nars Laguna Bronzers. This was on of my birthday gifts from my birthday haul on Instagram. I love the bronze the quality is really good and the color is perfect for contouring. 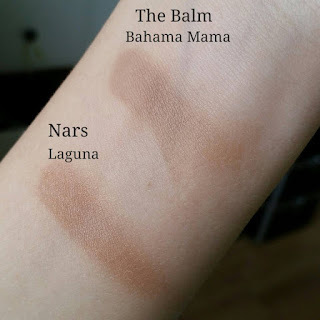 I have medium skin tone, for someone who is really really pale this may be to harsh or simply just use it with a really light hand, because as I said the quality is really good and it has a great color pay of. Blends out easy, doesn't leave any streaks or goes patchy. Money wise definitely worth it. First thing that came into my head when I tried The Balm Bahama Mama bronzer for the first time was Nars Laguna bronzer. It seemed to me that thy are the same color wise and definitely the quality wise how they apply to the skin and blend out. 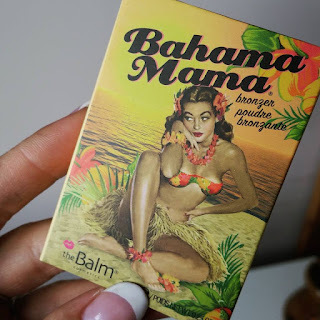 Well I wasn't far out they may not be similar in color but definitely in texture and quality they feel really similar, and that probably was the reason why I thought of the Laguna bronzer when I tried Bahama Mama first time. As you can see in this picture The Balm bronzer has more grayish tone and the Nars one has more red to it. Both of them amazing products and both worth the money, but if you are looking more of a contour product The Balm one will suit better. 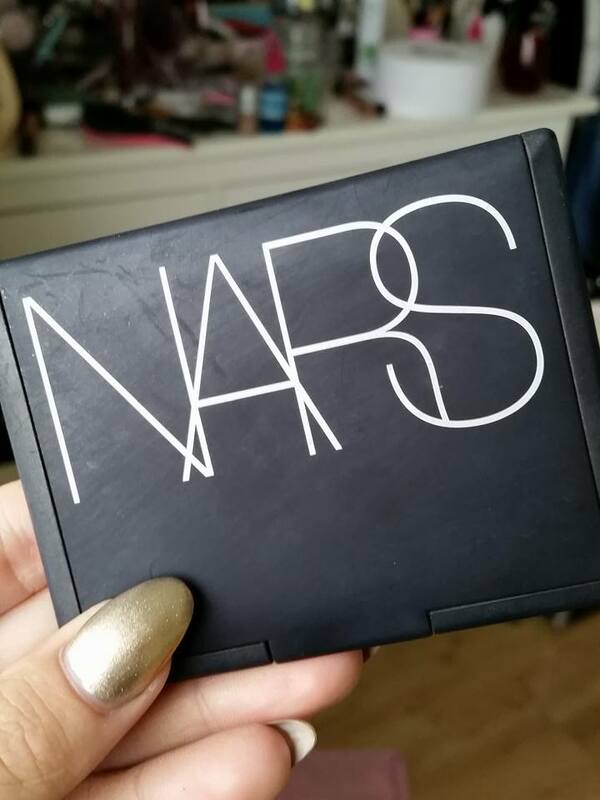 For the girls/boys living in Ireland you can find Nars in Brown Thomas on Grafton Street, Dublin.